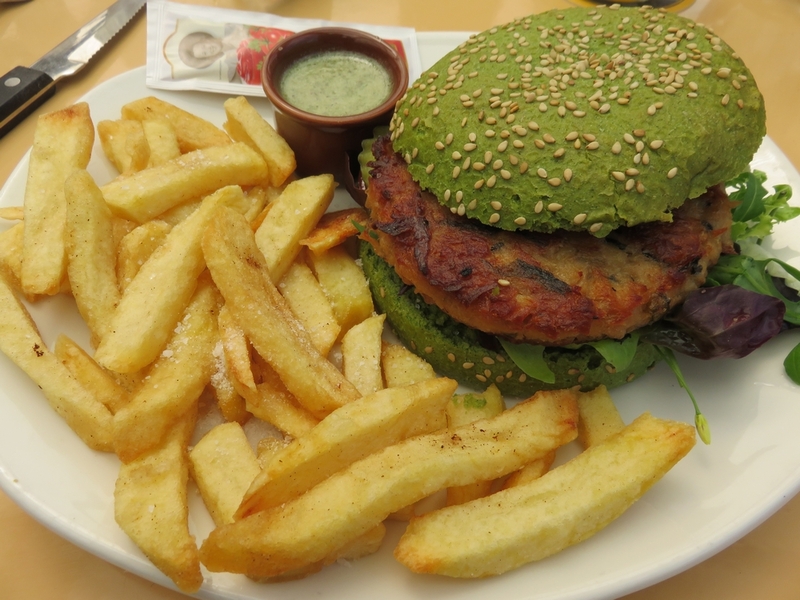 Restaurant review #44 – Yes, there is a place on Texel* where you can get a vegan burger! 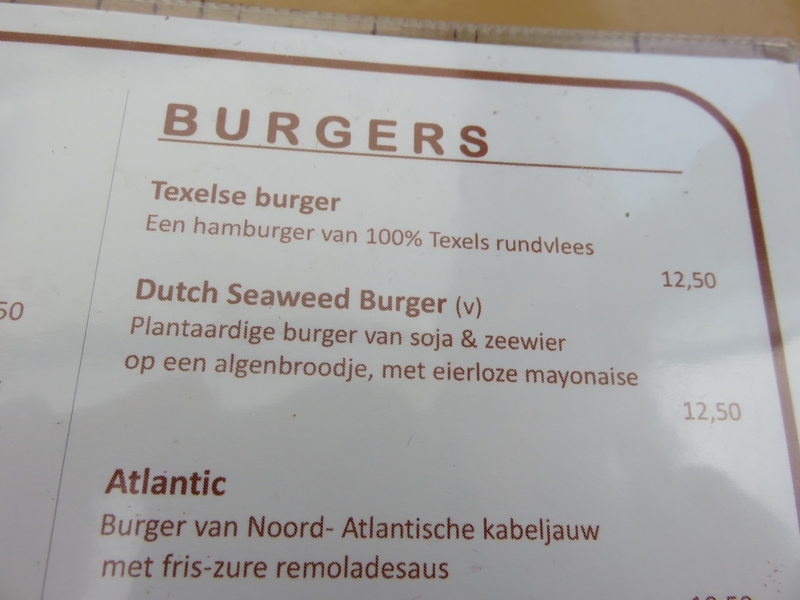 It’s the famous Dutch weedburger and it’s being served at beachpaviljoen number 9, near Den Hoorn. 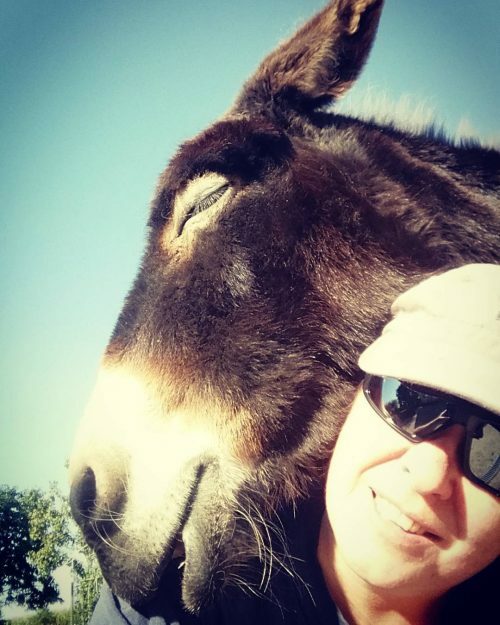 Obviously, we did not want to miss this! 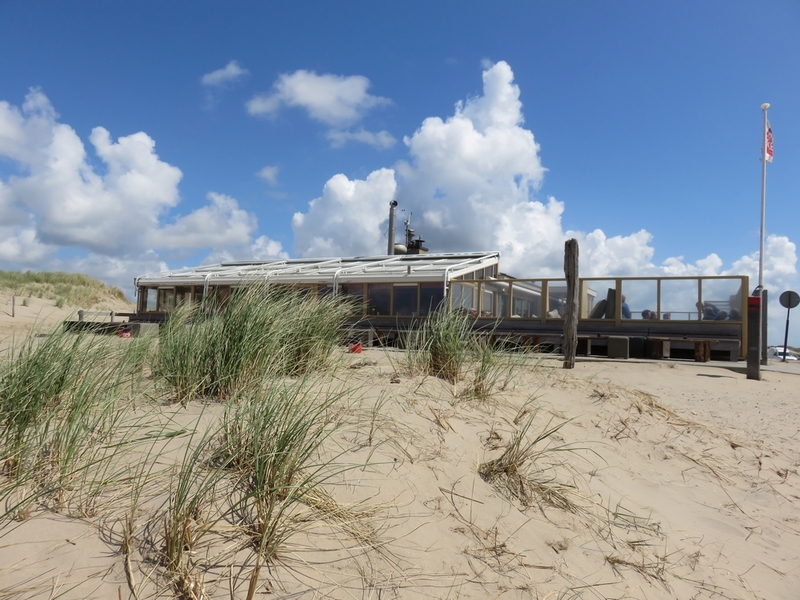 The Beach house is located in the dunes on the south west shore of the island Texel. We were there for lunch on a Saturday, and could easily get a spot outlooking the North Sea. There was a fierce western wind coming straight from the North Sea, and there are gently glowing dunes one each side of the road. So it was quite an effort peddling up there on our tandem! There seems to be only one vegan option on the menu (maybe the vegetable croquets are also vegan, but we didn’t verify). So beware it is not a vegan restaurant, there are many meat options on the menu. 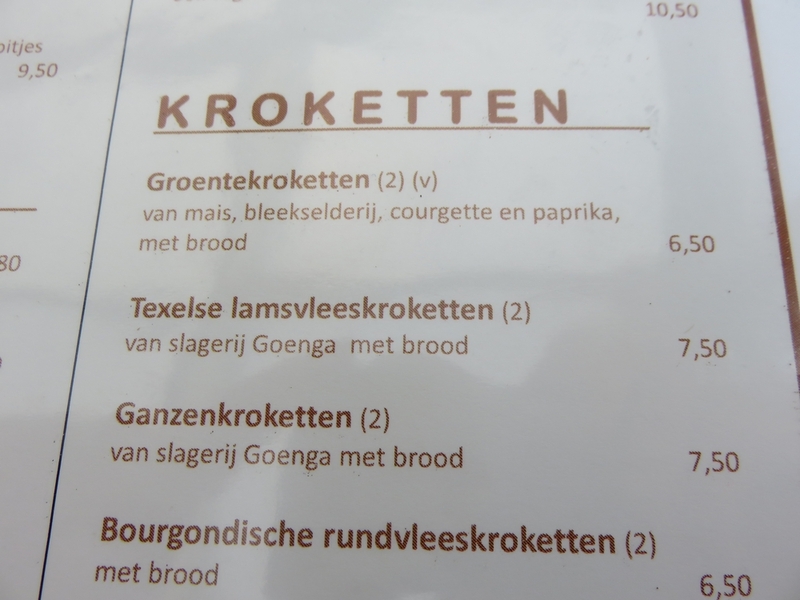 This was actually the first restaurant we saw croquettes of geese (ganzenkroketten) on the menu. We ordered the Dutch weedburger with fries, and it was yummie! And yes, it does come in this green bun, which is green because of the algae in it. The burger itself is based on soy-chunks and flavoured with kombu seaweed, although this does not give it a predominant seaweed taste. We did not discover any vegan mayonaise though (as is mentioned on the menu). There was a portion of sauce on the side (and some tomato sauce), but this resembled a salad dressing, and not veganaise (when asked about it, they said this was the veganaise). Anyway, it was nice nonetheless! 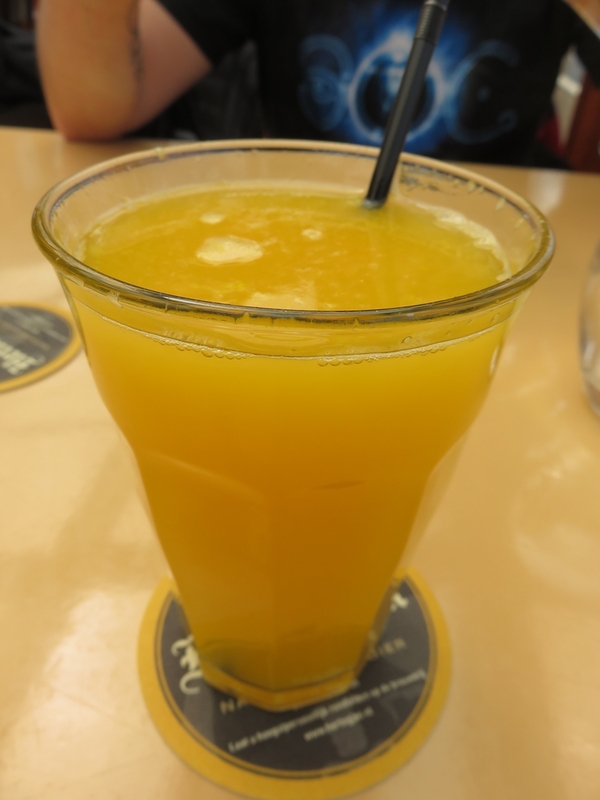 If we ever get the opportunity, I would surely order it again! * Texel is an island north west of Amsterdam (NL). 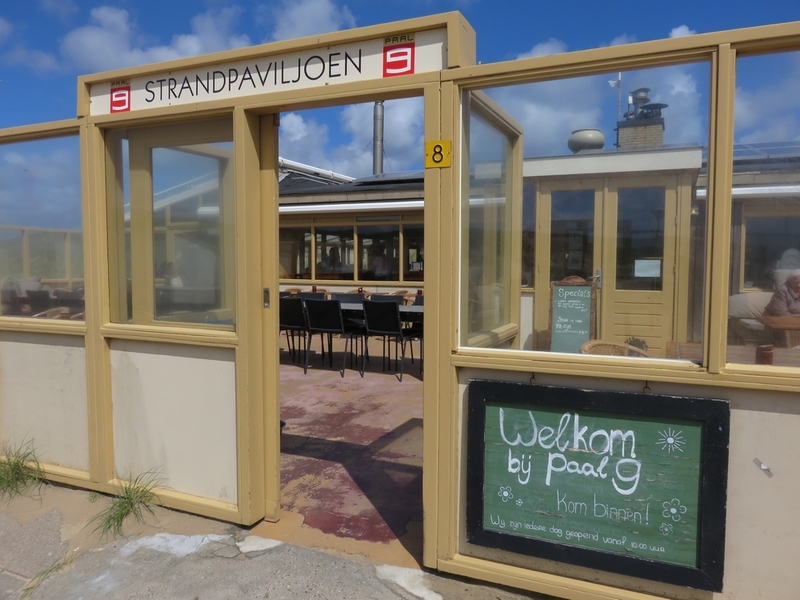 There are only a handfull of small villages on Texel, but the island is very touristic, so there are quite a lot of hotels and restaurants. Not that much options for vegans though. 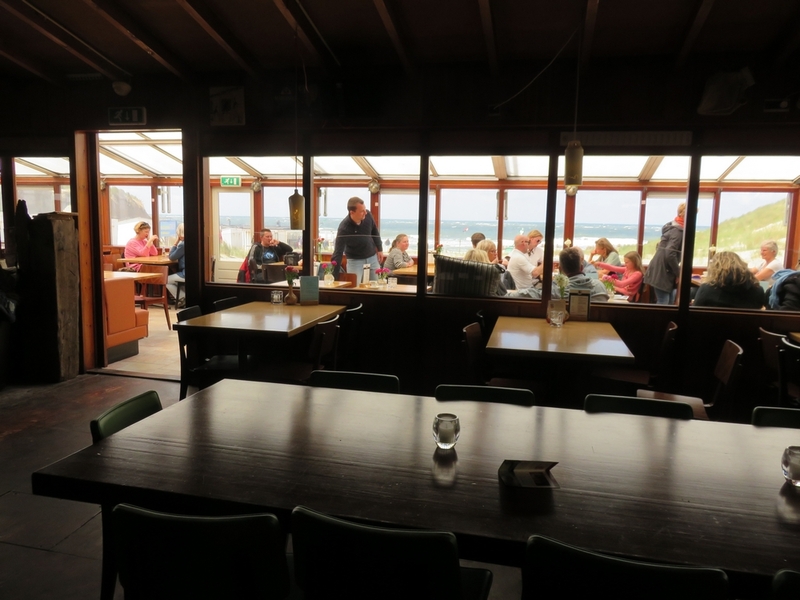 In another blogpost, I’ll give our vegan view on Texel, and places where you can have a vegan meal (and also some restaurants that replied they can’t fullfill our vegan needs). Paal9 Texel, beach. 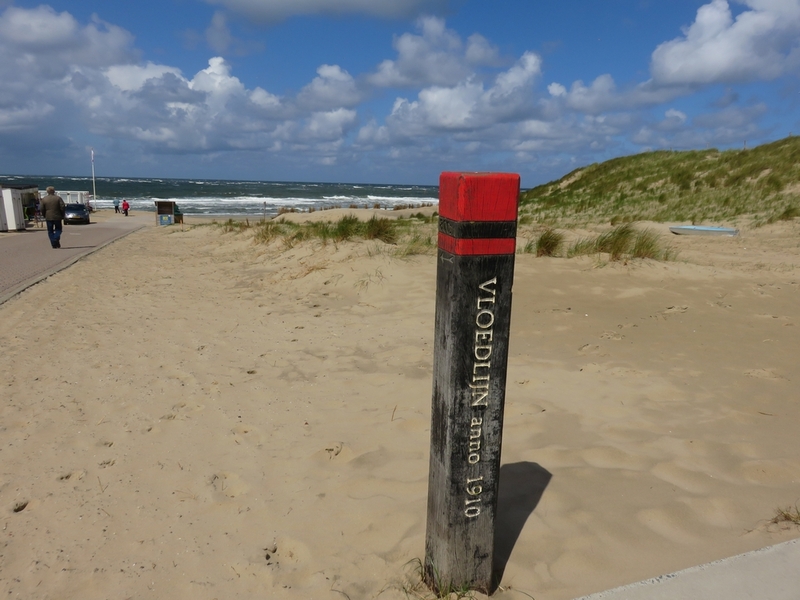 Vloedlijn – high watermark 1910 (there are several like these of varying dates in the dunes). When I read the phrase ‘Dutch weedburger’ I honestly thought that it was made from something else. I think that’s exactly the purpose why they decided to call it that. Good marketing from some Dutch guys, right? Looks tasty! Do you know, if the fries were also vegan? Hi Abi, Yes, we always ask when ordering fries if they are baked in vegetable oil! A lovely review! I haven’t tasted it yet, I need to! Yes, If I ever get the opportunity to eat TDW again, I definitely will!